Video format incompatibility always prevents us from watching videos smoothly on whatever devices. How many of you have encountered these situations: AVI videos not playing on QuickTime Player, MP4 video fails to play on your mobile, camcorder recording videos cannot open after imported to Mac/Windows, or video sharing sites like YouTube reject video uploading since it's oversized? If you are a video addict indeed, you will definitely be familiar with the matters. Thankfully, video converter is designed to be survived from these events, especially the best free video converters. Here we have listed the 2019 leading free video converters to convert video from a kind of format (like an AVI, MPG, MOV, etc) to another. 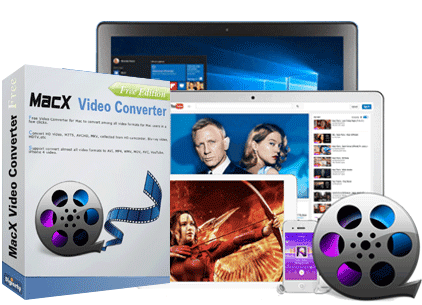 Though not as well-noted as some famous free video converters like Handbrake, MacX Video Converter Free Edition is absolutely enough to deal with all kinds of video conversion. As one of the best free video converters in 2019, it supports to convert among a diverse array of HD formats like MKV, AVCHD, M2TS etc, and SD video formats including AVI, MPEG, MP4, DivX, XviD, MOV, FLV, RM, RMVB, WebM, Google TV, etc. Besides, this free MP4 video converter is 100% virus free with a concise GUI. What Users Say About MacX Video Converter Free? Any Video Converter is an easy to use and free best video converter software program that supports over 50 input video formats. It converts nearly any file to a variety of high-definition output formats that run on Apple, Android, Windows, and other devices. The only thing I didn't like about free video file converter was the window that appeared after each video conversion suggesting that you upgrade to "AVC Pro" to enable more output formats. Freemake Video Converter is a really easy free video converter to use, which can not only convert files from your hard drive to almost any format, but also to download and convert online videos from the likes of YouTube. Advanced options are available that let you combine files into one and even burn videos directly to a DVD. You can also add subtitles and edit the video length from within the program. Totally Free Converter is absolutely a free video converter for Windows 10/8/7 with the easiest interface for green hands. Just click Video from the main menu, select a source file, and then immediately save the file as any of the supported formats. There aren't many additional options, but it works great as is. Keep a close attention that during setup, Totally Free Converter tries to install a few additional programs. If you don't want to install them, simply click Decline for each offer. As you have viewed the top best free video converters 2019 above, you can easily find that each can deal with the video conversion task. But how? That's what we're talking about. Here utilizes the best of the best - MacX Video Converter Free to convert video from format to format for example. Step 1: Get the video converter free download on Mac and launch it. Then click "Add Files" button to import your target videos. It accepts all familiar formats like FLV, MKV, AVCHD, M2TS, AVI, MPEG, MP4, MOV, etc. BTW, if you're using a Windows PC, this free video converter is also the case with Windows. Step 2: Select the output format. 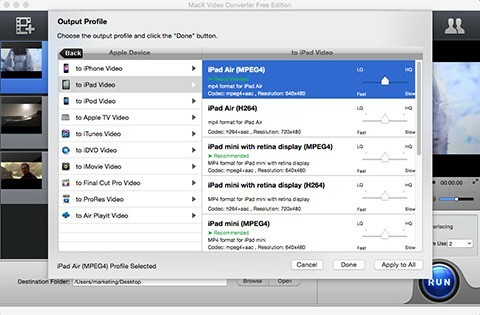 There is a wide range of outputs to choose, from common formats (MP4, MOV, AVI, MKV etc. ), Facebook, YouTube video formats, to Mac/PC, iPhone iPad Android devices. Step 3: Click "Browse" button in output setting area and select a destination folder to save your converted videos. Step 4: Click "RUN" icon to start converting. The best free video converter will pull the video conversion job off swiftly. 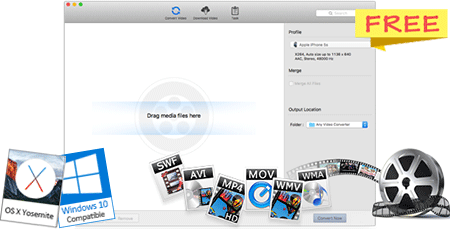 MacX Video Converter Free Edition supports free converting between HD and SD videos on Mac/Windows with no adware or spyware, for example, free convert video to MP4, MOV files playable on QuickTime player and iPhone, iPad, iPod, Android.